Will unleash a loud roar to daze their enemy before attacking their foe, damaging them. 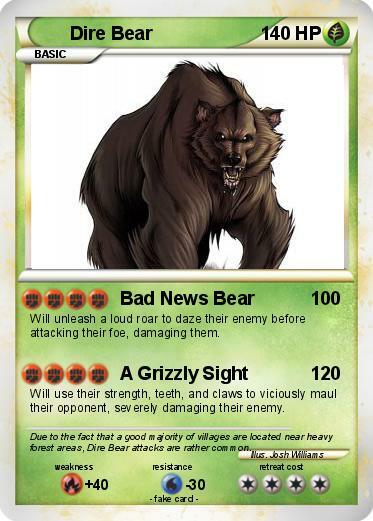 Will use their strength, teeth, and claws to viciously maul their opponent, severely damaging their enemy. Comments : Due to the fact that a good majority of villages are located near heavy forest areas, Dire Bear attacks are rather common.